As we delve further and further into 2014 (where is the time going?! ), the team at our Hair Salon in Croydon reflect on what was a fun-filled 2013. At our award-winning Hairdressers in Croydon we take a nostalgic look back at the fond memories we made last year – including the celebration of our 6th Birthday! We were feeling particularly philanthropic in 2013! The Jam Hairdressing team had lots of fun for great, worthy causes. Debbie and the rest of the gang (aka the ‘JAM Tarts’) ran the Race for Life event, raising both money and awareness for Cancer Research. We also got involved with the Purley local festival, raising money for the same charity by putting pink streaks with the Kevin Murphy colour bug in peoples hair – which went down a storm! The AMAZING Terri also had her long hair cut off by Kersti for The Princess Trust which makes wigs for children that have lost their hair through cancer – a remarkable achievement and gesture of which we are all really proud. In December we also raised money from our JAM HAIR pamper event for Crisis at Christmas charity. 2013 was a great year for Jam for lots of reasons, one of them being that we celebrated our 7th Birthday Bash – in style of course! 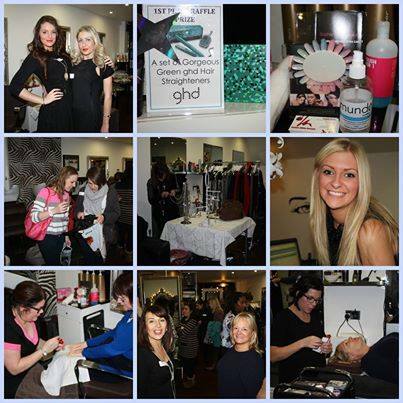 We also held our exclusive Pamper party event in December, with over 50 excited guests attending. We enjoyed some fabulous photo shoots, too at our Hairdressing Salon in Croydon. We also saw the innovative use of hair colour, our trademark JAM service, with lots of our lovely clients opting for dramatic hair colour changes throughout the year. 2013 was an incredible year for Jam Hair Salon from a business perspective. We were Finalist for Salon of the Year at the English Hair Awards, commended in the real life entrepreneur at the 2013 Croydon Business Awards sponsored by the Federation of Small Business. and took on two new young and dynamic stylists Charlotte and Lacey to join the growing JAM team. We also relaunched a brand new innovative website with reviews, late deals and online booking! Jam Hairdressers in Croydon are excited for 2014 and all that it may bring! This entry was posted in News, Salon News on February 4, 2014 by .